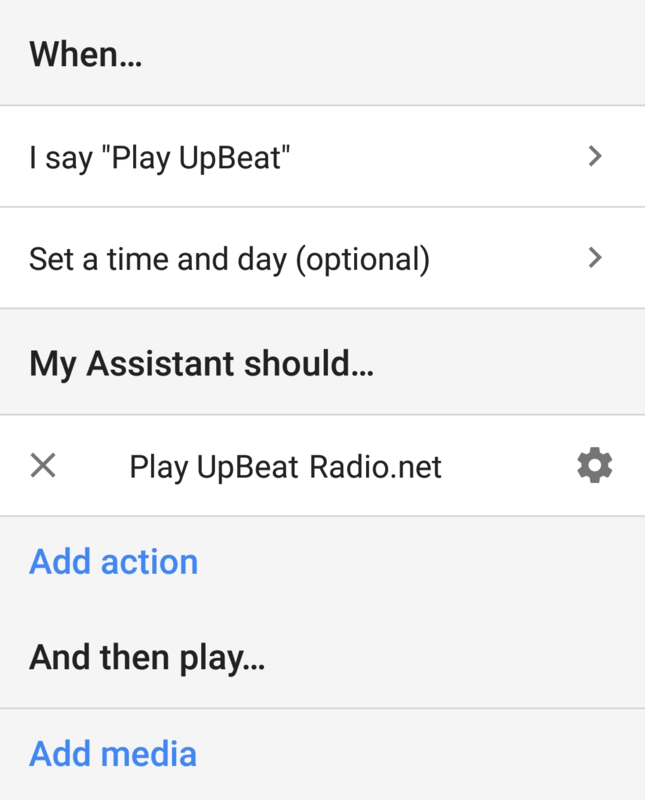 UpBeat is now on the Google Home! Listening to UpBeat has never been easier! That's right, you can now tune into UpBeat directly on your Google Home! Want it even easier ? Open the Google Home app on your mobile device. Tap More Settings Routines Add . For the commands option, enter whatever you like! E.g "Play UpBeat". Press ADD ACTION and enter "Play UpBeat Radio.net". Sorry, I can't find that album!